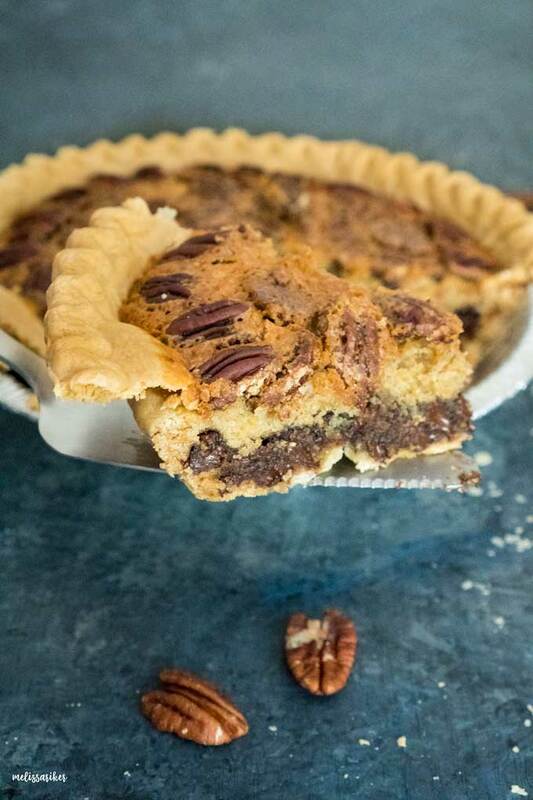 This Kentucky Derby pie is a Southern tradition! 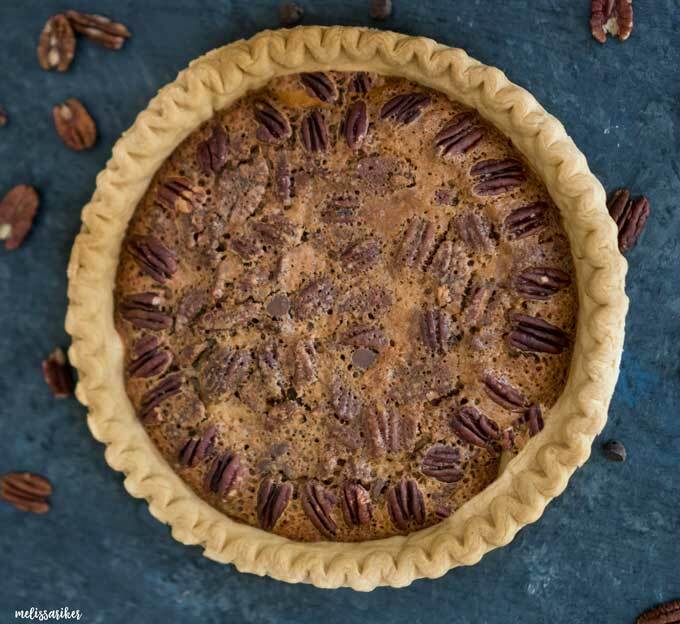 It tastes just like a chocolate chip cookie with pecans in pie form! Whether you’re watching the Kentucky Derby or just want a delicious and easy to make dessert recipe, this pie is for you! We had rain on and off all day Saturday so what’s a girl to do stuck inside with three little boys and a hungry husband? Bake of course! Continuing with my Kentucky Derby theme, (I shared my mint julep recipe last week,) today I have an amazing recipe for Kentucky Derby Pie. What is Kentucky Derby Pie? Can You Freeze Kentucky Derby Chocolate Pie? I get asked a lot how to freeze Kentucky Derby Chocolate Pie. While it is possible to freeze Kentucky Derby Pie I cannot recommend it. The pie will change in texture and part of what makes it so amazing is that cookie-like texture. The crust also tends to get soggy. Save this pie for when you can make it fresh! 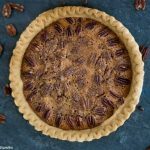 Unlike my Pecan Pie or Chocolate Pecan Pie, this Kentucky Derby Pie does not require corn syrup AND it can be prepped in just 15 minutes! Simply mix the butter, sugars, then egg and vanilla extract in a mixing bowl just like a traditional cookie recipe. After the remaining dry ingredients you’ll fold in the chocolate chips and pecans then pour into a pie shell. Bake one hour then let it set 15 minutes before serving. It’s amazing on its own or with a scoop of vanilla ice cream! 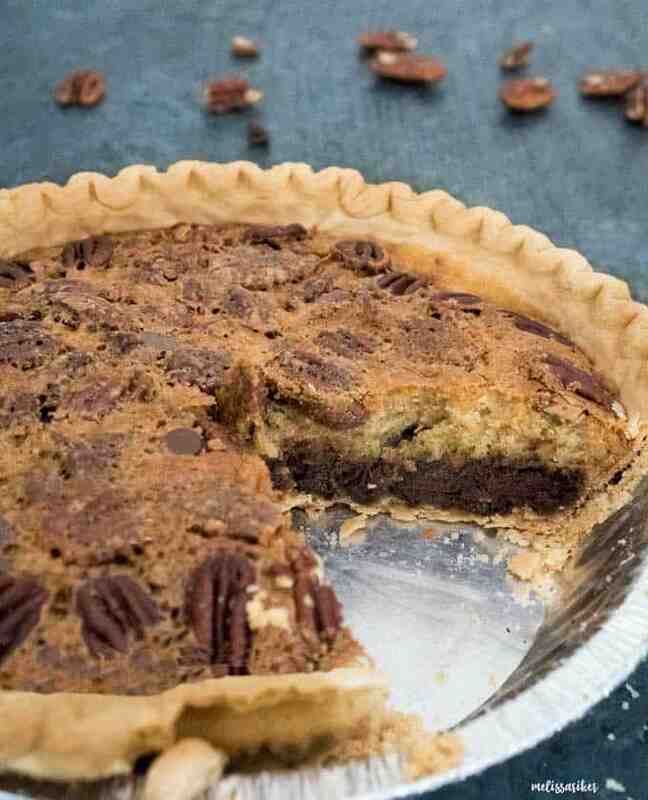 Kentucky Derby Pie is a classic dessert recipe that tastes like a Chocolate Chip Cookie Pie! An easy dessert recipe perfect for entertaining! Preheat oven to 350 degrees. Place pie shell on a baking sheet. In a medium bowl combine sugars and melted butter. Add eggs and vanilla and stir until uniform. Fold in 1 cup of pecans and chocolate chips. Pour into pie shell. Add additional pecans for decoration if desired. Bake one hour or until middle is just set. Allow to cool on a rack 15 minutes before slicing. Have you tried this delicious pie recipe yet? Let me know in the comments below! It is seriously the best Kentucky Derby Chocolate Pie recipe I’ve ever tried! I also always love hearing from you and learning what kinds of recipes you’d like to see in the future here on the blog so feel free to email me on my Contact Me Page as well!